Black rice or ‘forbidden rice’ is one of the ‘ancient grains’. Black rice is the only type of rice that has antioxidant and anti-inflammatory properties as well as dietary fiber. Known for its ability to stop the development of many serious diseases, it could help prevent cancer, heart problems, diabetes, and obesity. Black rice was considered ‘royal rice’ in China and was reserved only for Chinese royalty, a custom that was honored for centuries. 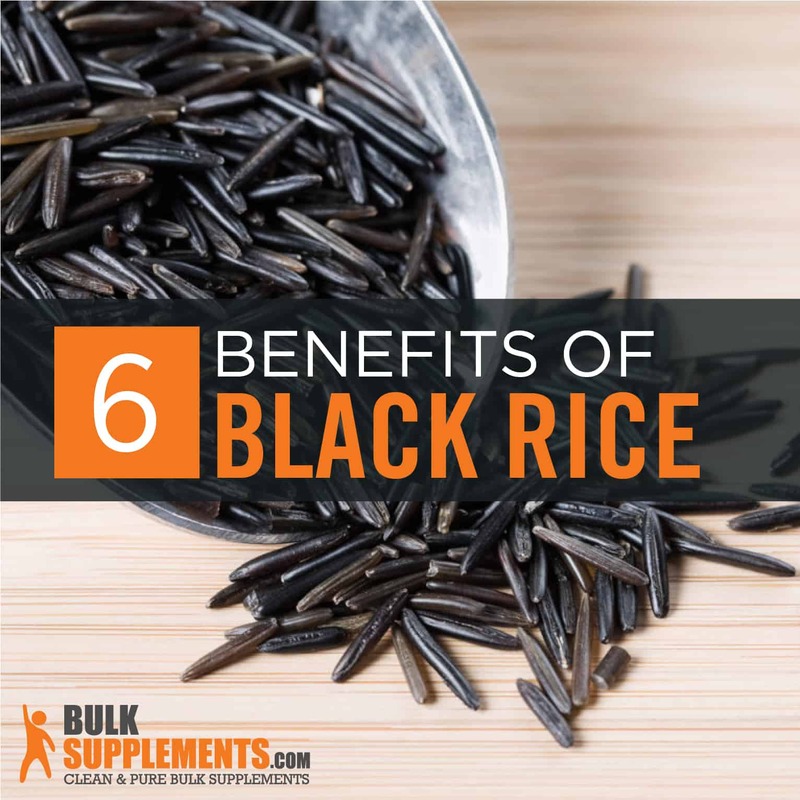 Luckily, today you don’t have to be of royal lineage to enjoy black rice’s health benefits. Antioxidants protect our cells from free radicals and oxidative damage, which leads to signs of aging and disease. Black rice is rich in antioxidants; it contains the highest amounts of phenolics, flavonoids, and anthocyanins when compared to other types of rice (x). Anthocyanins (a type of antioxidant) protects our bodies from inflammation, cancers, and cardiovascular disease. The concentration of anthocyanins in black rice is higher than blueberries, according to studies. That is an important fact because blueberries significantly elevate the sugar level in the blood while black rice does not (x). One study examined black rice’s antioxidant effect on 60 patients in China suffering from heart disease. After six months of eating black rice regularly, the patients showed a significant increase in their antioxidant levels, which improved their heart health (x). The antioxidant anthocyanins found in black rice keep cholesterol levels low, especially “bad” LDL cholesterol. They also regulate total triglyceride levels to prevent atherosclerosis (x). Atherosclerosis is a condition in which fatty deposits (atherosclerotic plaque) develop in the walls of medium-sized and large arteries. 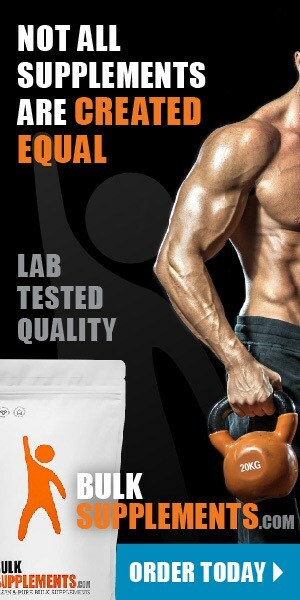 This leads to reduced blood flow. It can cause serious complications such as angina, myocardial infarction, and sudden death. It can also lead to cerebrovascular diseases such as stroke, peripheral artery diseases, and erectile dysfunction in men (x). Black rice benefits your heart by reducing the formation of plaque within the arteries, maintaining healthy circulation and preventing heart disease (x). Because it has a high concentration of antioxidants, black rice cleanses your liver and removes the build-up of harmful toxins. In an animal study, the antioxidant levels in the blood, liver, and arteries of rabbits increased when they were fed black rice regularly. The rabbits showed less free radical damage, cleaner blood, and detoxified livers. Their arteries were also clear and they had a reduced atherosclerotic plaque build-up (x). Black rice is rich in fiber, with 3 grams per half cup serving. Eating a diet filled with foods like black rice can help prevent constipation, bloating, and other gastrointestinal problems. Fiber attaches to the waste and toxins within your GI tract and removes them, ensuring you have regular bowel movements (x). The fiber in black rice can also help you feel fuller longer, reducing cravings and aiding in weight management. Gluten is a protein found in many types of foods such as wheat and rye. About 15 percent of the world’s population is sensitive to gluten, but many don’t know they are. If you’re sensitive to gluten, you may experience symptoms like nausea, vomiting, diarrhea or constipation, and bloating. While some people are simply sensitive to gluten, others may have a serious gluten allergy, called Celiac disease. Talk to your doctor if you think you may have Celiac disease–medical professionals can properly diagnose you and provide treatment. If you’re new to a gluten-free diet, black rice is gluten-free and won’t aggravate your stomach or cause digestive issues. One of the cornerstones of treatment for pre-diabetes, diabetes, and other metabolic disorders is to consume whole grains instead of processed grains. Studies show that consuming whole grains is healthier than consuming refined carbohydrates, since whole grains decrease the risks of type 2 diabetes and obesity (x). Processed carbohydrates don’t contain fiber, antioxidants, or other nutrients. Your body also processes these carbs as sugar, which increases harmful sugar levels in the bloodstream. But black rice is full of fiber, nutrients, and antioxidants, making it a much healthier option (and just as filling!). Black rice fiber ensures that sugars from the grain are absorbed in your bloodstream over a longer period of time. This keeps the level of sugar in the bloodstream stable– no more sugar spikes or drops, which can lead to overeating and energy crashes. Studies have compared the impact of conventional white rice and black rice on blood sugar. Research shows that consuming white and brown rice contributes to insulin resistance and increases the risk of type 2 diabetes, but black rice doesn’t. Nutritionists often recommend it as a replacement for white or brown rice, white bread, pasta, and sweetened cereals (x). There are not yet any studies examining black rice’s impact on cognitive function. However, many studies have demonstrated the positive effects of antioxidants (especially anthocyanins like the ones in black rice) on memory and learning. Oxidative stress impairs memory, learning, and other cognitive functions. Antioxidants counteract these negative effects. In the largest study to date examining cognitive function and diet, scientists examined 16,000 patients over the course of six years. The study showed that eating anthocyanin-rich food improved mental function and delayed cognitive decline (x). In ancient cultures, rice was one of the most important crops. At first, there were only two varieties: African rice and Asian rice. Cultivation then began in various parts of the world, resulting in white, brown, red, pink and black rice. The antioxidant anthocyanins in black rice don’t just keep you healthy; they also give the grain its deep, dark color. Other foods rich in this antioxidant include blueberries, purple grapes and blood orange (x). Once you cook black rice, it may even appear deep purple in color. It also becomes fairly sticky once cooked. If you want to reap all of black rice’s benefits, try adding black rice extract powder to your nutrition routine: it contains a high concentration of the grain’s beneficial antioxidants. As a dietary supplement, take 3700 mg (about 1/2 tbsp) one to two times daily, or as directed by your physician. Black rice does not have any serious documented side effects. Talk to your doctor before taking black rice extract if you are nursing and pregnant. Because it’s rich in fiber, it may cause slight bloating, gas, or gastrointestinal upset; this should subside quickly.